Each arm is calibrated on two edges of one side and one edge on the other. 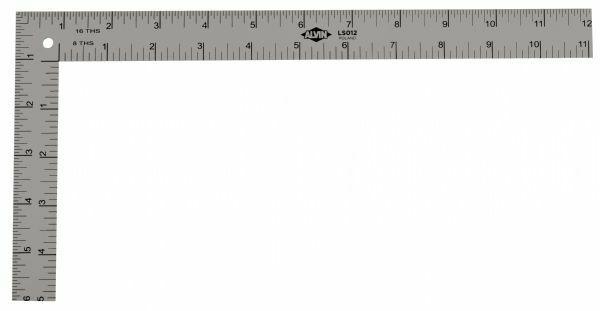 * The short arm is also calibrated as a center-finding ruler on side two. 13" x 7" x 1.75"